Just as advertised, nice fluff to the pillows and they fit well for the Euroshams I put them into for a guest bed. Furnish your home in comfort and style with these superb, luxurious decorative pillow inserts. Designed to fit beautifully in most pillow covers, these pillow stuffers are just as comfortable as they are stylish, the perfect complement to any home space. 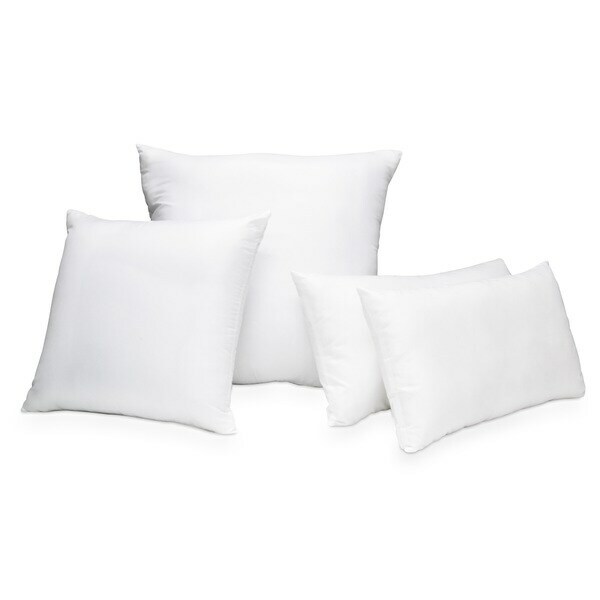 The pillows inserts are perfectly filled, they are very fluffy and soft as well. These inserts replaced a goose down pillow that was loosing all the feathers and causing a lot of allergy issues. Highly suggest these due to they are Hypoallergenic and I am very satisfied!